EXCELLENT SPRINGTIME PRICE ADJUSTMENT! Country Living or the Country Club Life! 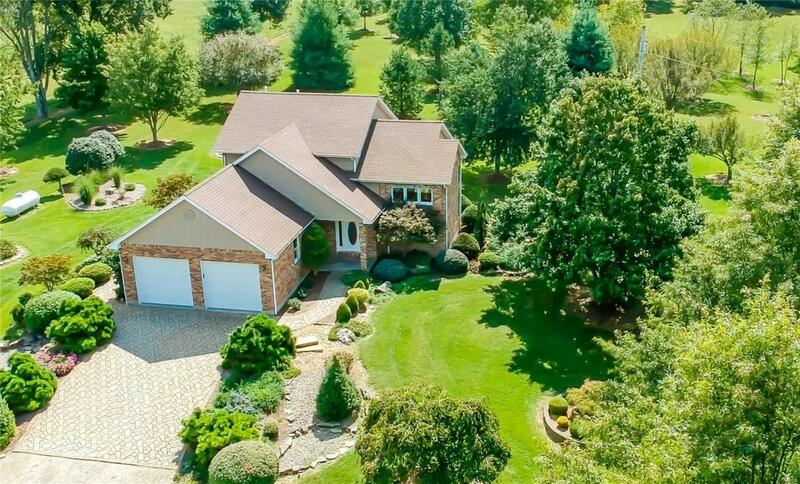 You can enjoy it all at this incredible Country Estate with an immaculate, custom, all-brick home. Currently, i'ts a private residence and operating tree nursery - with the opportunity to be so much morea Winery, Bed & Breakfast, Farm, Hunting Lodge or Landscaping Business. Includes operating tree nursery plus inventory (valued at tens of thousands $$$), 2 wells, computerized irrigation system, over-sized heated garage with work area plus pole barn and storage. This would also be amazing as a horse property with plenty of pasture land and a stocked pond. Enjoy a close to home weekend retreat or make it a full-time family home. Comes with 1 free year of lawn care. 10 minutes to Farmington with shopping, top-rated healthcare and a thriving community and only 60 minutes to St. Louis. Please enjoy the attached virtual tour video and pass it along to anyone whos ready to "Live the Dream!